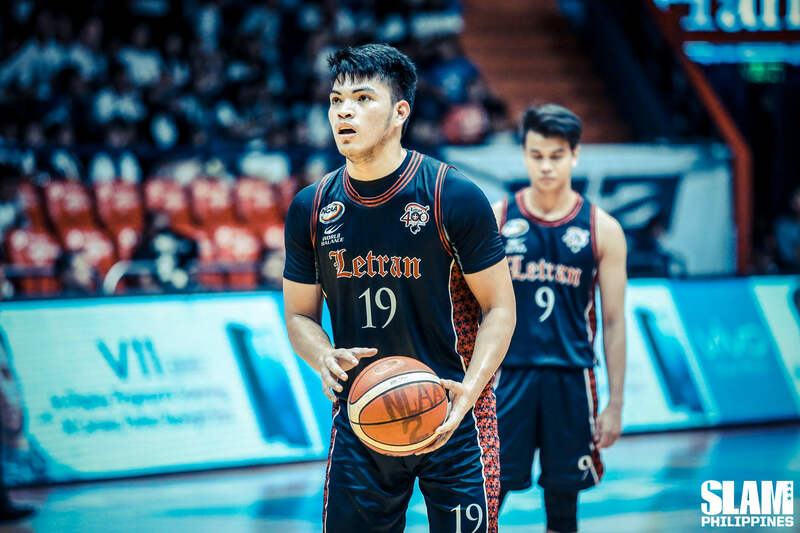 Bong Quinto was once again Mr. Do-It-All for the Letran Knights. He tallied his third triple-double of the season to lead his team to a win over the Mapua Cardinals. Quinto finished with 11 points, 14 rebounds and 11 assists. JP Calvo led the Knights in scoring with 26 points. Letran now sits at solo third with an 8-4 record. The young Cardinals were coming off back-to-back wins and were looking to pull off another upset over a Final Four team. Mapua was neck-and-neck with Letran in the first quarter. The Cardinals even took a four-point lead early in the second quarter. Unfortunately, they would only manage to put up five points the rest of the period. Quinto and Calvo teamed up for a game-changing 26-3 run that would give the Knights a 17-point lead heading into the half. Quinto dominated the boards and found his guards for easy shots on the break. Calvo took advantage of the open floor with his speed and savvy. Letran dominated Mapua all the way to the final buzzer, holding on to a double-digit lead the rest of the way. Justin Gutang made sure there would be no upset this time around. The young forward scored 23 points to lead the Benilde Blazers to a bounce back win over the Arellano Chiefs. The Blazers’ losing streak ends at two games as they rise in the standings to 8-5. Gutang set the tone early in the game. He scored eight points in the first quarter alone to push the Blazers ahead of the Chiefs early. Benilde built a double-digit lead in the second quarter When Clement Leutcheu added firepower in the paint. 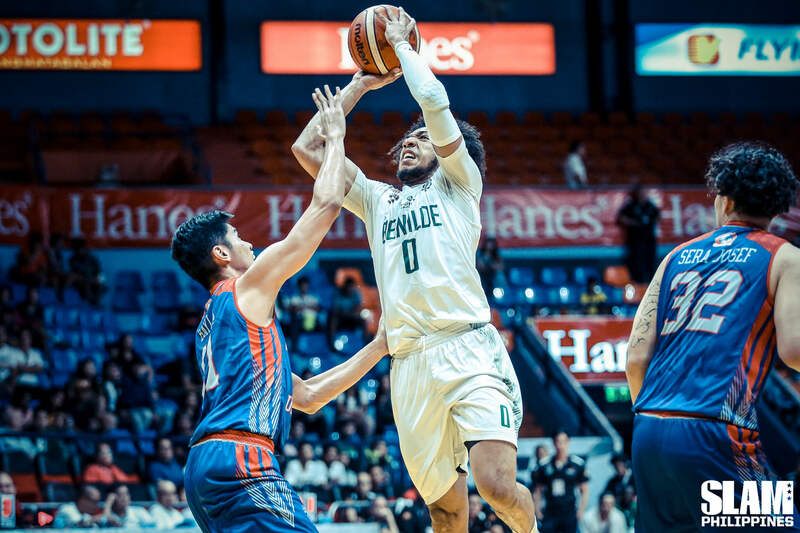 He and Gutang combined for 10 points in the second period as Benilde jumped out to an 11-point lead heading into the half. In the third quarter, it was Robbie Nayve who brought the buckets. Nayve dropped 12 of his 16 points in that stretch to help keep Benilde ahead by a comfortable margin. The Chiefs wouldn’t threaten the rest of the way. Gutang had an all around game with five rebounds, six assists and three steals as well. Leutcheu added a double-double of 14 points and 11 rebounds. The Blazers shot an even 50% and had 18 assists in the game. After 30 games spanning two years, the Lyceum Pirates finally dropped a game. 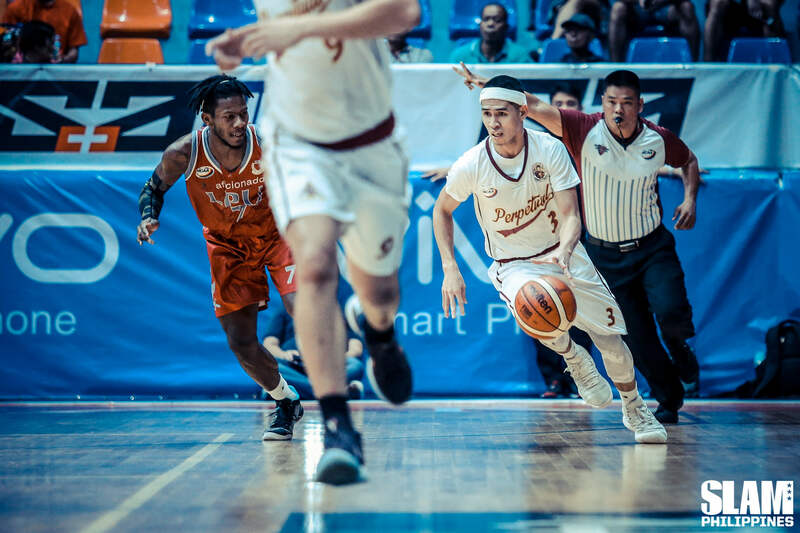 The Perpetual Altas completed a fourth-quarter comeback, capped by another clutch basket by Prince Eze to take down the previously undefeated Pirates. This win was huge as it puts the Altas within striking distance of the Final Four at 7-5. Late in the final period, it seemed as if the Pirates would romp their way to their 31st win. They took a nine-point lead with less than four minutes left in the game. But the gritty Altas refused to let the Pirates run away with a win. Edgar Charcos nailed crucial baskets to rally Perpetual back into the game. Charcos tied the game with a little over a minute left in the game. Both Perpetual and Lyceum traded defensive stops keeping the count tied. In the dying seconds of the game, the Altas ran a play with Charcos driving to the hoop. The point guard sucked in the defense and passed to the corner for the potential game-winner. Rey Peralta’s shot was well defended and came up short of the basket. But Eze snatched the miss and put up a shot that banked in as the buzzer sounded. That was the dagger that finally ended the winning streak of Lyceum.